Prolific New York Times analyst David Brooks - ostensibly a conservative - has built a reputation around his nuanced take on society and culture - his tendency to blur the lines of partisan politics. On the issue of fighting anti-Semitism, Brooks’ opinions are, likewise, fluid, having evolved over time. 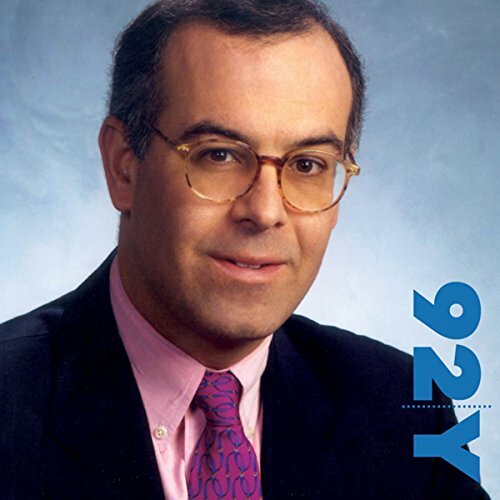 In this 92nd Street Y seminar, the Jewish commentator admits he wasn’t particularly concerned with anti-Semitism in the years prior to 9/11, viewing it as a brand of prejudice on the wane. Unfortunately, Brooks’ opines, the tides have turned since that tragic day in 2001. Here Brooks reflects on growing anti-Semitic sentiment in Middle Eastern electoral politics, as well as 21st-century security threats faced by the U.S. and Israel, including the increasing likelihood of a nuclear-armed Iran. This event took place on February 8, 2006. Waste of time. Very superficial and hurried. Over rated. Not recommended for serious student of the subject.